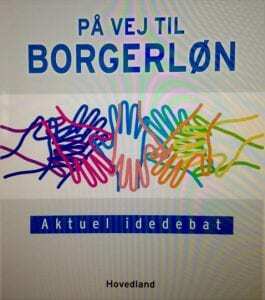 Erik Christensen, former associate professor at Aalborg University, has written a new book on basic income, På vej til Borgerløn – Aktuel idedebat (“On the way to Basic Income: A debate on contemporary ideas”), which is to be published in August 2017 by the independent publishing house Hovedland. See the announcement at the website of BIEN-Denmark. Christensen’s latest book is a compilation of revised and expanded blog posts from the past four years, which he previously published on Modkraft, a now-defunct Danish progressive Internet portal. Why has basic income again become topical? Christensen is the author of The Heretical Political Discourse: a Discourse Analysis of the Danish Debate on Basic Income (2008, Aalborg University Press; full text here).